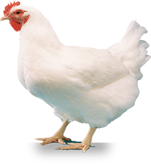 The World Veterinary Poultry Association (WVPA) was formed in 1959, the honour of being the first President of the Association going to Professor de Blieck and that of Secretary to Dr R.F. Gordon, who had both championed its formation. The First WVPA Conference (the name ‘‘Congress’’ was not applied until the third meeting) took place in Utrecht in 1960. The second Conference (1962) and the third Congress (1965) were in Cambridge and Paris, respectively. The fourth Congress, in Belgrade (1969), was a landmark one for two reasons: firstly, submitted papers were introduced, and secondly, the notion of a WVPA journal, later to be called Avian Pathology, was first discussed. A year later (1970) the journal came into being, Professor Klimes (Czhechoslovakia), the driving force behind its creation, being the first Editor-in-Chief, with Professor Kosic (Yugoslavia) as production Editor. Due to the ill health of Professor Klimes, Peter Biggs was confirmed as Editor-in-Chief in 1973. A charitable company, Avian Pathology Ltd, was formed in 1980, under which Avian Pathology was published. Dr L.N. (Jim) Payne succeeded Dr Biggs as Editor-in-Chief in 1988. The fifth and six Congresses were in Munich (1973) and Atlanta, Georgia, USA (1977), respectively. Four years later, at the Oslo Congress, it was agreed that the rather crude logo adopted at the fourth Congress should improved. This was done and is the current logo. On the 25th anniversary (1985) of the first WVPA Congress, the eighth Congress was held in Jerusalem. Membership had increased to almost 1000, with members in 39 countries, 22 of which had branches of WVPA. In 4 years it will be time to publish an account of the second 25 years in the history of the WVPA.